The new neoprene mudguard called NeoGuardTM is specifically designed to prevent mud and spray from getting in your face and eyes. Traditional mudguards are fragile and can hold on to pounds of unwanted mud affecting your riding performance and slowing you down. 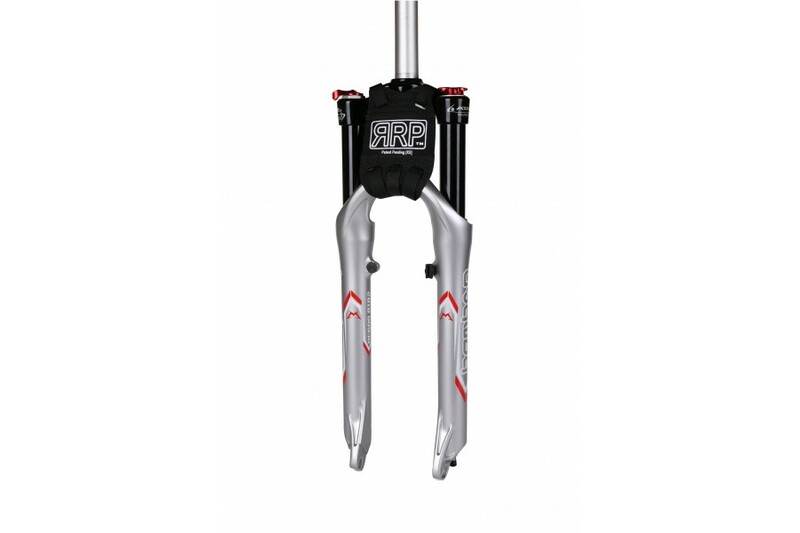 The NeoGuardTM throws the mud off every time the fork compresses keeping your bike light and agile. It is fast and simple to fit and very lightweight, this mudguard is perfect for both downhill or crosscountry and absolutely essential for the weekend warrior. Tuck it into your backpack just in case conditions turn nasty, you'll rarely get mud in your eyes again.